PURPOSE: To update findings of the 2000-2010 Bone and Joint Decade Task Force on Neck Pain and its Associated Disorders (Neck Pain Task Force) on the validity and reliability of clinical prediction rules used to screen for cervical spine injury in alert low-risk adult patients with blunt trauma to the neck. METHODS: We searched four databases from 2005 to 2015. Pairs of independent reviewers critically appraised eligible studies using the modified QUADAS-2 and QAREL criteria. We synthesized low risk of bias studies following best evidence synthesis principles. RESULTS: We screened 679 citations; five had a low risk of bias and were included in our synthesis. The sensitivity of the Canadian C-spine rule ranged from 0.90 to 1.00 with negative predictive values ranging from 99 to 100%. Inter-rater reliability of the Canadian C-spine rule varied from k = 0.60 between nurses and physicians to k = 0.93 among paramedics. The inter-rater reliability of the Nexus Low-Risk Criteria was k = 0.53 between resident physicians and faculty physicians. CONCLUSIONS: Our review adds new evidence to the Neck Pain Task Force and supports the use of clinical prediction rules in emergency care settings to screen for cervical spine injury in alert low-risk adult patients with blunt trauma to the neck. The Canadian C-spine rule consistently demonstrated excellent sensitivity and negative predictive values. Our review, however, suggests that the reproducibility of the clinical predictions rules varies depending on the examiners level of training and experience. 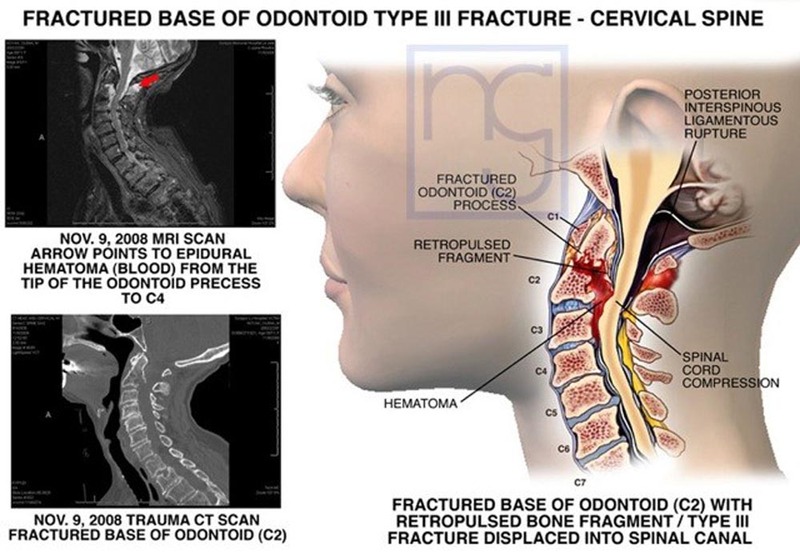 The incidence of a potentially serious cervical spine injury, including cervical spine fracture, dislocation, and ligamentous instability in the Norwegian population, is an estimated 16.5/100,000/year. In the United States, more than a million patients are assessed each year. Failure to diagnose these injuries in a timely manner may have significant consequences, including spinal cord injury and even death. Thus, highly sensitive and reliable assessment methods are required to screen patients who are at risk of serious cervical spine injury.